In March of 2015 we had spent a fabulous week in California’s Coachella Valley, exploring the Palm Springs area and watching the renowned PNB Parisbas tennis tournament in Indian Wells. But the week passed by far too quickly, and our last two days in California had arrived. We were going to spend these the last two days of our California trip in Hermosa Beach, a suburb of Los Angeles. The drive from the Coachella Valley towards the big city featured some interesting landscapes and in the early afternoon we reached this beachfront town. 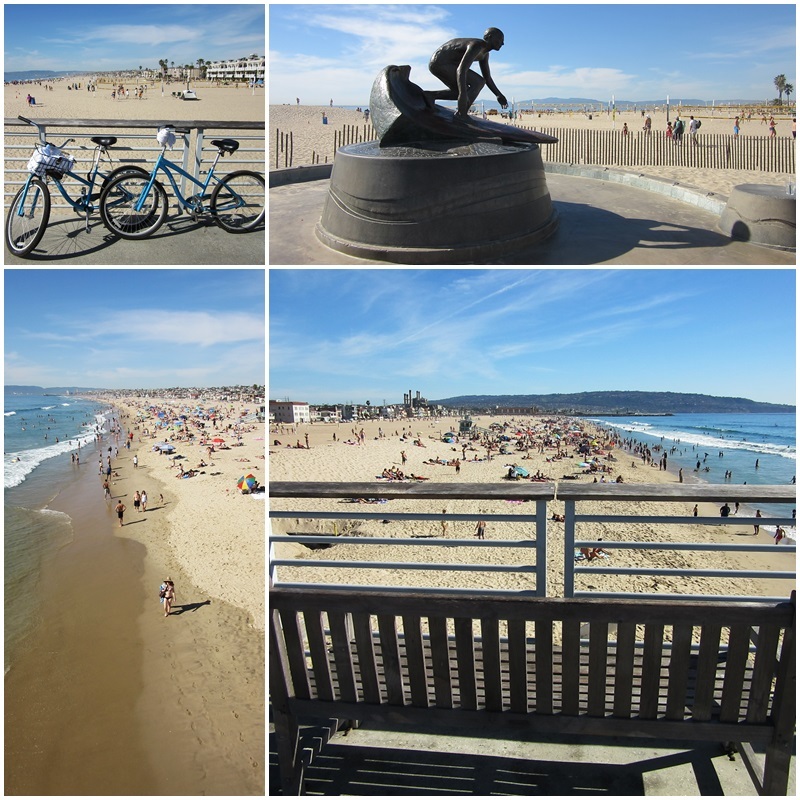 Hermosa Beach is part of the three “Beach Cities” which also include Manhattan Beach and Redondo Beach. We stayed in the Grandview Inn, a contemporary boutique hotel located just a few steps from the long sandy beach and the Pacific Ocean. 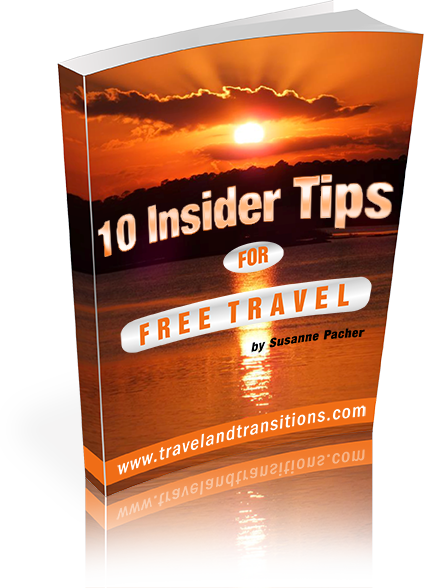 With its proximity to the Los Angeles International Airport, this attractive hotel would serve as a great home base to explore the beaches west of Los Angeles. 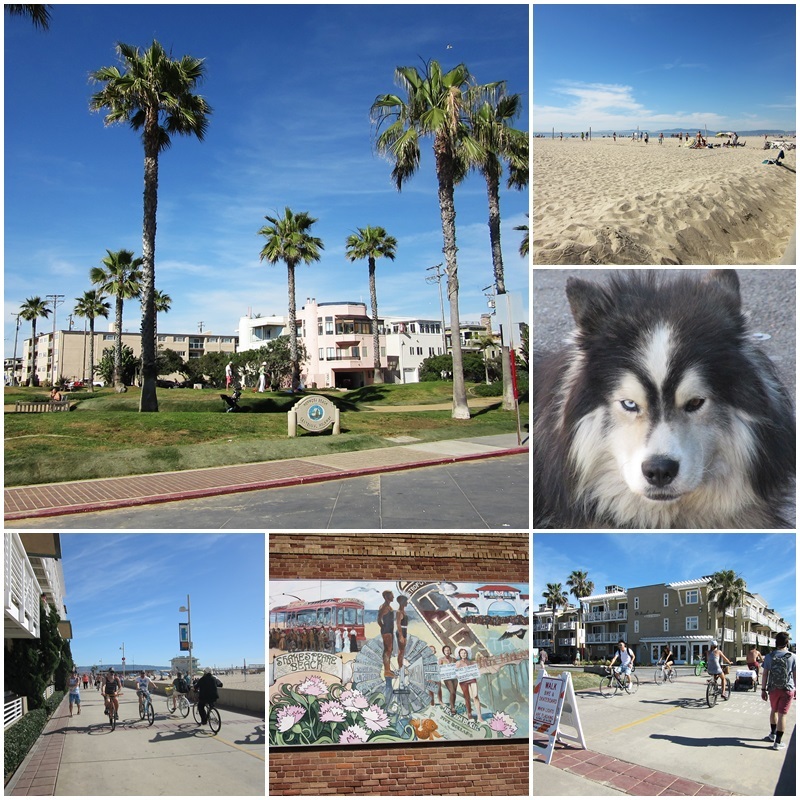 After our arrival in Hermosa Beach I embarked on my first walk along the town’s famed boardwalk. Hermosa Beach is a small town in the South Bay Region of Los Angeles County and exudes the typical Southern Californian beach town atmosphere. The Strand, as the long sandy beach is called, is frequented by volleyball players, Frisbee throwers and sun seekers, while the paved boardwalk accommodates countless walkers and inline skaters. From the Strand I walked inland on Pier Avenue which, west of Hermosa Avenue, is a wide pedestrian-only road that is lined with huge palm trees. Restaurants, bars, pubs and surf shops are found on both sides of the street, and as it was March break, the area was full of young partiers. Among the perennial favourites are Hennessey’s Tavern, Project Taco, Zeppy’s Pizzeria, Patrick Molloy’s Sports Pub, Bajsa Sharkeez and Mediterraneo. 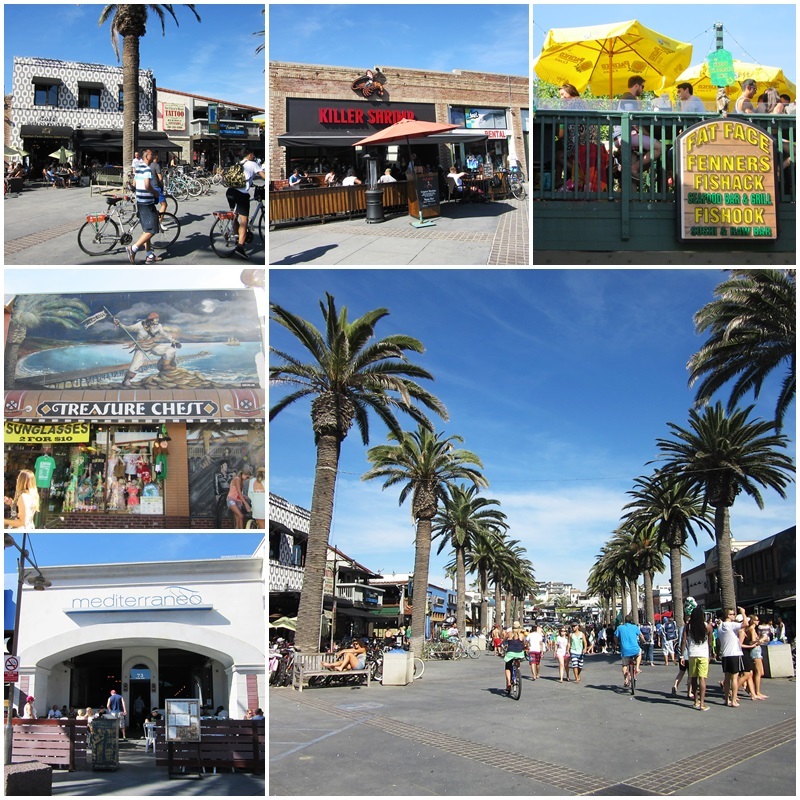 The most well known attractions in Hermosa Beach is the Pier, one of the town’s most distinctive landmarks. The first pier was built here in 1904 and constructed entirely of wood. Nine years later the pier was partly washed away and then demolished. The new concrete pier stretched 300 metres (1000 feet) into the Pacific Ocean. At the entrance to the pier is the Hermosa Beach Pier Surfer Statue which commemorates legendary surfer and lifeguard Tim Kelly who died in 1964 at age 24 in a car crash. The Strand is a 35 kilometer (22 mile) long paved bicycle trail next to the beach which extends all the way from Torrance Beach in the South past Redondo Beach, Manhattan Beach, Venice City Beach, Santa Monica State Beach to Will Rogers State Beach in Pacific Palisades. This long recreational trail covers most of Santa Monica Bay. These beaches are popular getaway destinations for Angeleños (the residents of Los Angeles) and for tourists seeking that Southern California vibe. 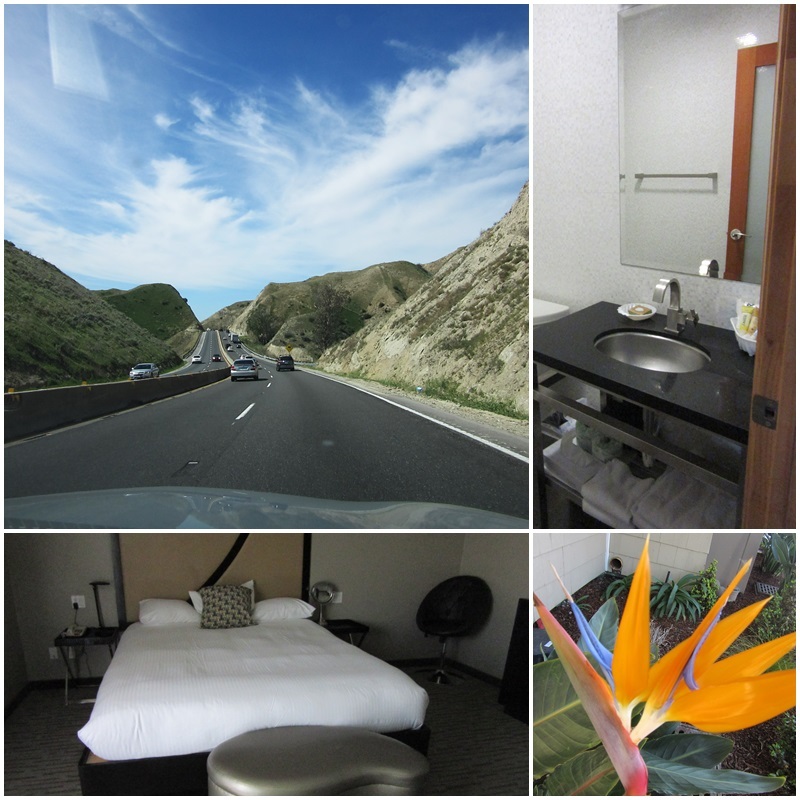 My remaining time in California was very short, so I decided to head out for a drive and explore the Palos Verdes Peninsula south of Hermosa Beach.